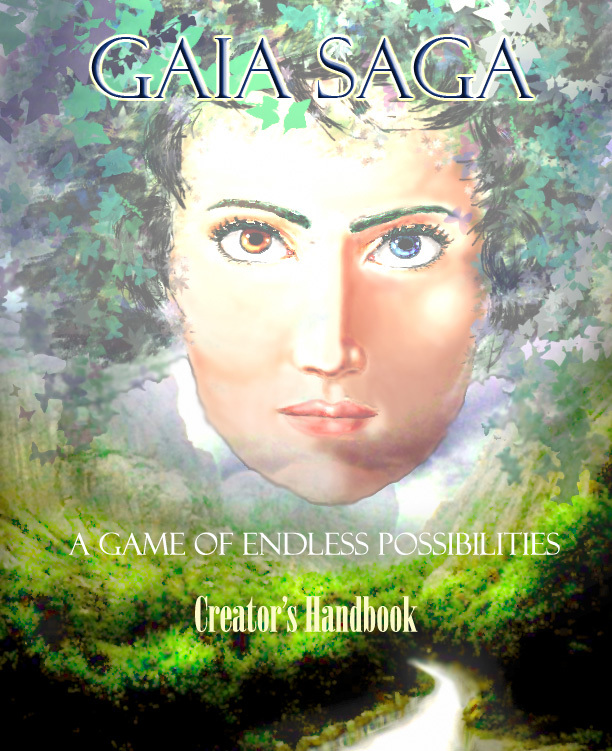 “An expandable game system tracing the lives of elves, men, dwarves, and other mythical creatures can be created within the GAIA SAGA universe. This game system is designed for maximum flexibility with minimal extra tools needed. The game master is truly the master, as he/ she outlines the action, and the players can be as free form as desired within that outline. Players can play with very powerful characters or as simple low level operatives - each is supported through the use of individual and unique characteristics that allow for rapid decision making during the game sequences. GAIA SAGA included spell tables, character specifications, descriptions of places and events on GAIA, and character generation worksheets that can be copied for player use”.